Normaderm Anti Aging Review: Is It Really Good For Your Skin? Vichy Normaderm Anti-Age is marketed as a multi-tasking anti-aging, anti-blemish treatment in one. 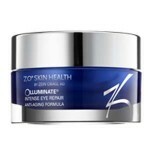 With continued use, this product uses LHA’s, Vitamin C, and other proven ingredients to reverse the look of your dull complexion, treat wrinkles, and target trouble spots. As we age, our skin goes through transitional periods due to hormones. In our teens and early 20s, it’s common to combat troublesome skin plagued with acne. In our 30s, wrinkles, fine lines, and discoloration begin to appear on the skin. Unfortunately for some of us, both of these issues occur at once. Vichy Normaderm Anti-Age cream claims that it can keep acne and breakouts at bay as it addresses signs of aging as well. Enriched with Vitamins and LHAs, this oil-free, paraben-free product promotes skin cell turnover and hydrates the skin without clogging pores. 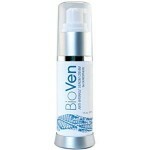 With continued use, skin will appear clear, even, and the skin’s texture will improve overall. For best results, evenly apply a layer of Vichy Normaderm Anti-Age to cleansed, toned skin twice per day, during your morning and evening skincare routines. 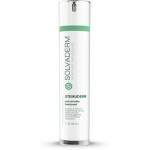 For daily use, follow up with an SPF of at least 30 for optimum anti-aging results. 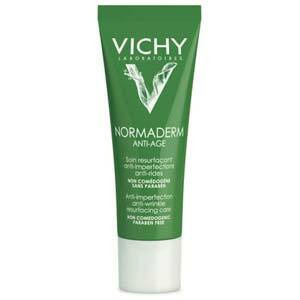 Vichy Normaderm Anti-Age is on several third party websites for approximately $30.00 per 50 mL. Most websites appear to be sold out. Glycolic and Lip-Hydroxy Acids: Also known as LHA, these ingredients work together to exfoliate the skin and reduce the appearance of fine lines and other imperfections. Vitamin C: This ingredient brightens the skin and prevents future damage from occurring. 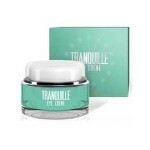 This anti-aging cream also prevents breakouts. 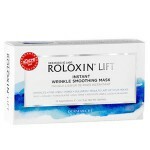 This product improves the skin’s texture overall. 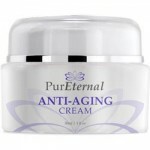 This anti-aging product replenishes moisture for up to 24 hours. This product appears to have been discontinued in the US. This product contains irritants, such as added fragrance. This product is not meant for all skin types and may cause an adverse reaction for those with sensitive skin. Vichy Normaderm Anti-Age claims that it can treat early signs of aging without causing more harm to those with acne-prone skin. Although this may sound like the perfect product for anyone going through the transition of acne-prone skin to wrinkle-prone skin, there are several issues we’d like to address. This product contains very potent, and strong ingredients. Unfortunately, this product also includes unnecessary ingredients, such as fragrance. Combined, this is a recipe for disaster for those with sensitive skin. This product should not be marketed for those with acne-prone skin, especially considering the ingredients in this formula can make both acne and wrinkles worse! We’d strongly recommend continuing your search for a product that is sold on a reputable website, is suitable for all skin types, and does not contain unnecessary ingredients like fragrance. Currently, this product is not sold on any reputable websites in the US. If you do manage to find this product somewhere online, we’d recommend contacting the distributor to determine if there is a return policy in place.